Disclosure: My friend Rita received the Madison Diaper Bag for review from Timi & Leslie. All opinions are her own. I’m about to have my second baby and while I try to use most of my baby gear again, my cousin convinced me I deserve a new diaper bag. The search for a great diaper bag is very similar to a search for a new purse: very difficult to meet all my needs and look great. Unlike purses I don’t want to end up with 5 different bags for different occasions. Timi & Leslie has a line of very stylish bags that can fit all of mom’s needs. Their Madison 7 Piece Diaper Bag meets all my criteria for a perfect bag. First, I like a bag that can stand up on it’s on own. I put my diaper bags everywhere when toting around my kiddo and I need my bag to sit up anywhere without having to lean on or be hooked onto something. The Madison is a satchel style that I’m able to easily hang on my strollers, shoulder and put down anywhere without having to think twice. Secondly, I like a bag that comes with matching accessories that are needed as a mommy. The Madison has thought of it all. It comes equipped with and adjustable cross body strap to wear the bag without hands when needed, matching stroller straps to hang the bag on your stroller, an insulated bottle container, a zippered sac for dirty clothes, and a changing pad with front pocket to store diapers and ointments for fast diaper changes. What impressed me though, was that Timi & Leslie thought of my needs aside from being a mom. To my surprise the Madison comes with a cute clutch that you can use when you don’t want to carry a purse. The extremely handy clutch has slots for credit cards and a zip pocket for all your needs. Third, I like my bags to have a lot of space and plenty of compartments to keep me organized. The Timi and Leslie Madison has a lot of space in the large compartment and 6 interior pockets to organize all my items plus 3 exterior pockets including a zip pocket for easy and safe access. Fourth, I like my bags should be convenient to use and by that I mean, I don’t like digging around in a bag when I need something. I like finding things very quickly. I love the Madison’s light colored lining which allows me to see everything in the bag and grab them quickly. It even includes a key fob so I quickly find my keys every time. Finally, I like my bag to look as great as it functions. The Timi & Leslie Madison is luxurious, practical and great quality. It’s made from easy to clean vegan faux leather and features a very nice antique brass finish. The bag is trendy and classy and it’s perfect for those of us who don’t want to forgo style for functionality. 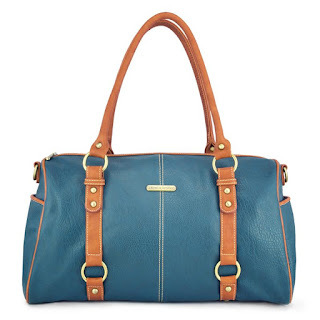 One winner will Receive the Madison Diaper Bag! I also like the Marie Antoinette 7-Piece Diaper Bag Set - Silver. I have diapers, wipes, and a change of clothes in my bag. I really like the stroller straps - it's not something I've seen before and is a great idea. I have everything in the bag, as well as a good book for those long waits in to see the doctor, midwife, nurse, etc. I also like the Jet Setter Tote - London. I would stash all my kids stuff in there, including but not limited to diapers! Dawn 7 piece diaper bag!! I love that bag it's so cute. I would keep so much stuff in my diaper bag. diapers, wipes, creams, tissues, medicine, wallet... the list goes on!! I also like timi & leslie Metro Messenger, Barcelona; I keep lots of snacks in my bag! And from timi & leslie I love the Marie Antoinette 7-Piece Diaper Bag Set - Silver! I really like the Marie Antoinette 7-Piece Diaper Bag Set in Silver. Very elegant for a diaper bag! In my diaper bag I have the usual but also carry odor diffusing trash bags for the dirty diapers. Really come in handy when I'm at someone else's house! I have cloth diapers, snacks, and extra clothes in my diaper bag. I also like the Kate set! I like the Classic Tote SoHo. We carry a bib, a small bowl, and a spoon in our diaper bag. I would also love to have the Charlie 7-Piece Diaper Bag Set - Light Brown. I have suckers stashed in my bag! 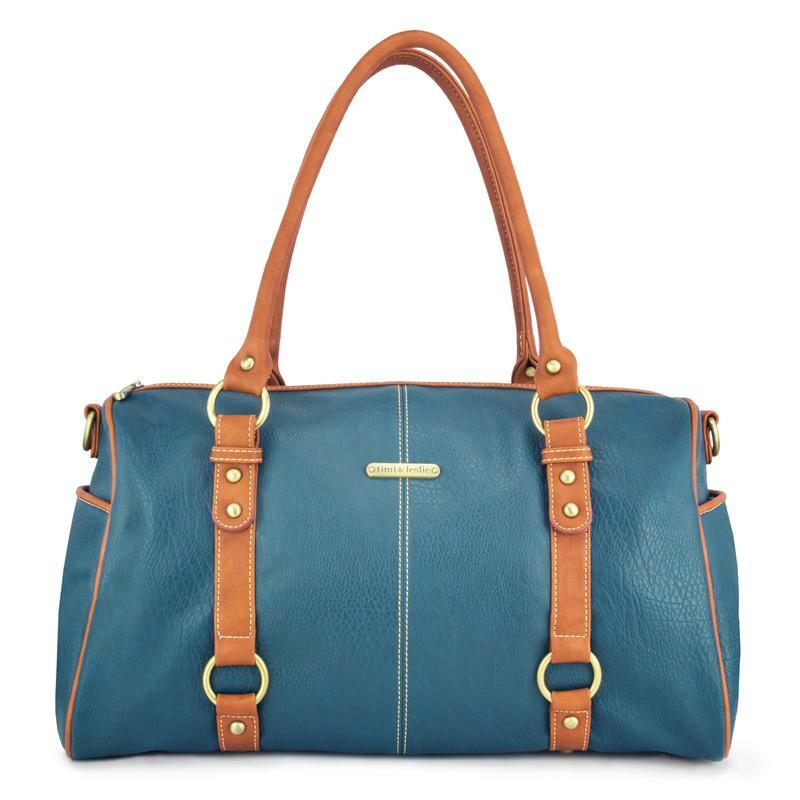 I like the Jet Setter London tote! I keep change and mints stashed in our diaper bag. I like the Hannah tote as well, and I keep diapers, A&A swaddle blanket, wipes, and a change of clothes in mine! Also loving the Dawn bag in caramel - Timi and Leslie makes some stylish and great bags! I like the marie antoinette bag in silver. 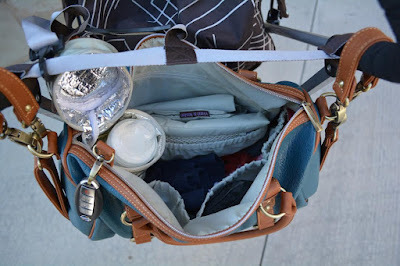 I love the knotted handles.I have wipes, a mirror, a hairbrush, a bottle brush, formula, pacifiers, and baby food containers in my diaper bag. The Marie Antoinette 7-Piece Diaper Bag Set - Silver is something I would just love to have. I am currently pregnant so I don't have a diaper bag right now. I like the Jetsetter tote. I don't have a must have yet because I am expecting myfirst. I like the Metro Messenger - SoHo! My must have for my diaper bag is wipes and a change of clothes! Holy moly these Tim & Leslie bags are SO pretty & can totally be used way after baby!! I literally love them all but especially the Dawn Diaper bag... gorgeous! I'm a mama & a photographer so I love a diaper bag that I can also safely hold my camera & lens in & these are perfect! I really like the Jet Setter Tote - London! My have to have in the diaper bag is wipes! You can never have too many wipes on hand! I like the Jessica bag. I keep diapers, wipes, extra clothes, snacks and a few small toys in my diaper bag. The Rachel bag is my favorite! I'm a huge fan of always being prepared. My bag always has something for each of my (4) kids. Snacks are a must! And wipes can clean up anything. Love all the pockets to keep the 137 things I always carry organized plus it's so chic looking! I love that it has a key fob! I am always loosing my keys. I always bring diapers, wipes, nursing cover, change of clothes and burp cloths. I like the Jet Setter tote. I don't have a diaper bag, but I'm sure it would be full of wipes for one thing! I like the Charlie in Light Brown! Just gorgeous! In my diaper bag, I have diapers and wipes, sunscreen, change of clothes for baby, baby sun hat, my wallet, and my ring sling. Thanks for the giveaway! I also like the dawn diaper bag! I'd love to have the Metro Messenger in Barcelona. I keep all kinds of things in my diaper bag... mostly diapers, a change of clothes, snacks, hats, and sunscreen. Everything to get us outside and having fun. Love the Dawn Diaper Bag. I would stash more sanitizing wipes, snacks such as trail mix. I really like the Hannah bag, also. I like to keep a protein bar or other snack and a bottle of water in my bag for me too. so pretty! xoxoo and I keep diapers, wipes, sippy cups and extra clothes! and exra snack! I love the Dawn 7-Piece Diaper Bag Set in Caramel. It's so cute I would definitely use it as a pocketbook when I don't need it as a diaper bag! That Charlie diaper bag is adorable! We stash everything in my bag! From snacks & coffee to diapers and Kleenex! Hello, I love the Jet Setter tote. I have everything else in my diaper bag since the kiddo is out of them. Thanks for a great giveaway! I like the Metro Messenger - Barcelona. I have chapstick and tweezers stashed my diaper bag. I like the Classic Tote - SoHo bag. I have snacks, toys, and wipes in my diaper bag for my grandkids. I'm crazy about their whole line. I'm diaper bag shopping and am deciding between the Kate, Classic Tote, Metro Messenger, or this one. Vegan leather is such a win, too! Ethical, affordable, easy to keep clean. The Tag-A-Long Tote is very adorable and stylish. I also love the Charlie 7-Piece Diaper Bag Set - Sand/Cinnamon and I carry water, sippy cup, snacks, wipes, etc. i like the Tag-A-Long Tote - Serengeti. i like the extra pockets on the front. love the jet setter tote in london! my bag is crammed full of cloth diapers snacks wet bags and small toys! I also like the Abby, but all of their bags are really stylish. I like that they look like something for a grownup. I'm not a fan of diaper bags that are decorated with baby themes, lol. I'm not carrying a diaper bag; this would be for an expecting in-law. I like the Charlie bag in Light Brown. My bag has to have a water bottle. Someone is always getting thirsty and I don't really like to use water fountains. I also love the Dawn bag... my bag has the usuals- diapers, wipes, wet bags, nursing cover... just the basics! I would pack an extra outfit, snakes and wipes. I love the timi and Leslie metro messenger bag in Barcelona. It would even work great to take to work. I also like the kate bag bc its so roomy. I always have wipes and water in my diaper bag. I like the Tag-A-Long Tote! I always have snacks and water! I like the Schlep-It-All Tote - Aruba. I love the Marie Antoinette 7-Piece Diaper Bag Set in Sapphire! I usually have a change of clothes, wipes and extra snacks along in my bag. I love the metro messenger in barcelona! lol.... I use mine for everything! Normally it ends up with swimwear in it as well. I love the Marie Antoinette 7-Piece Diaper Bag Set - Black. I always have sunscreen, diapers, wipes, and snacks! I love the one that you reviewed as well as the Jet Setter Tote London! Love the design. I would stash a few extra snacks in mine! Great work. He came out to level our fountain and fix the pump. It need a good amount of work...He is the hardest worker I have ever seen, and after a complete home remodeling his promptness and the quality of his work. My faith has been restored that there are still people out there you take pride in the work they do. He is definitely one of them. We called him back to work on a wall fountain about a week or so later, and again, he was amazing. Thanks www.indoorfountainpros.com.